Seriously, I am soooooooo excited that this is my first time posting on the Project Run & Play website! 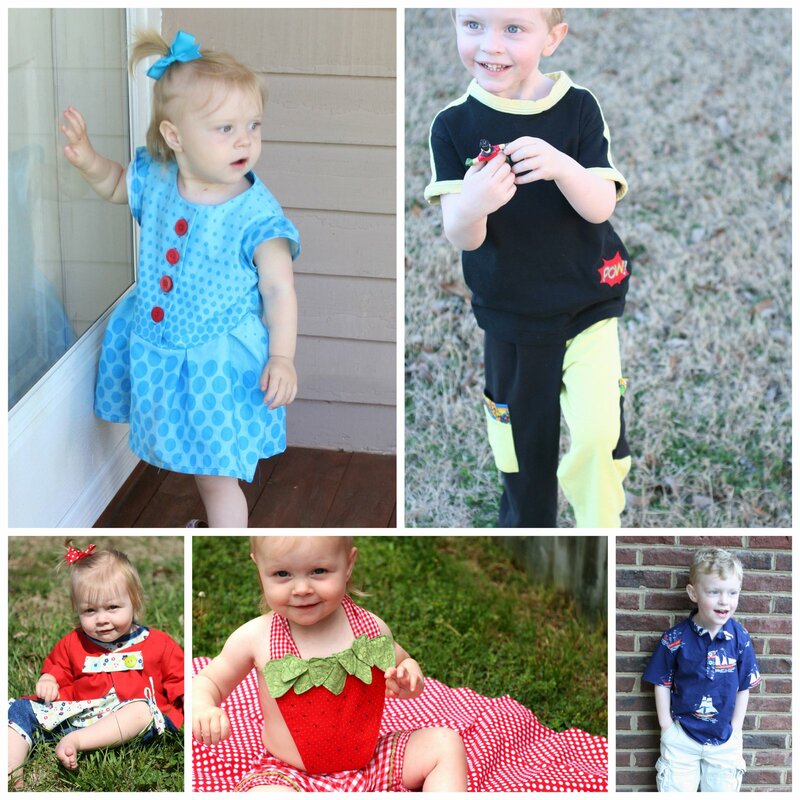 I found out about PR&P during season 4 and fell in love with blogging about kids clothes sewing! I'm enjoying my own blog growth as I continue sewing for my 3 year old boy and 1 year old girl in my spare time as a stay at home mommy! I was inspired by some pictures of 1950's baby clothes and came up with this self drafted playsuit for the summer! I had some gingham seersucker to use that works great with this design! And as soon as I made it I have been finding gingham style posts around the internet EVERYWHERE! LOL! I'm glad to know I'm "trending"! This completes your top! You can use this technique for any of your existing patterns - I think it creates such a cute and "vintage-y" vibe! Thank you for reading and I would love to have you join me in my sewing adventures on my blog! Come visit my blog today for the tutorial of how I made the bloomers to match! How cute is this little outfit! Great job! :) PS Just visited Nashville for the first time last month- what a fun city!